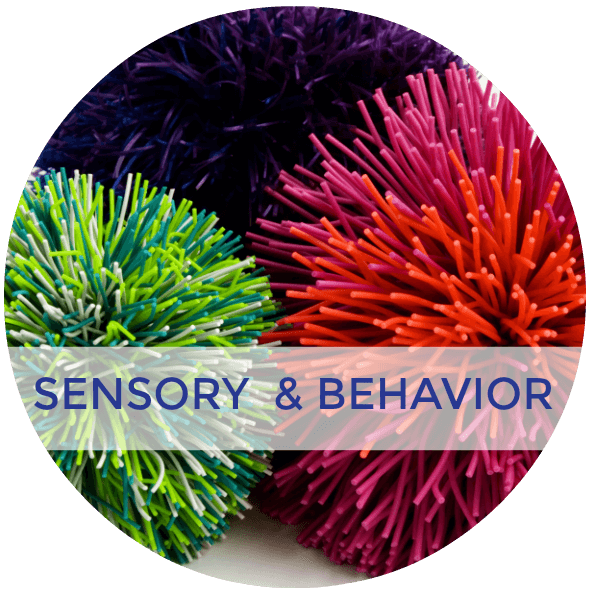 Toddlerhood is full of hands-on fun and exploring. 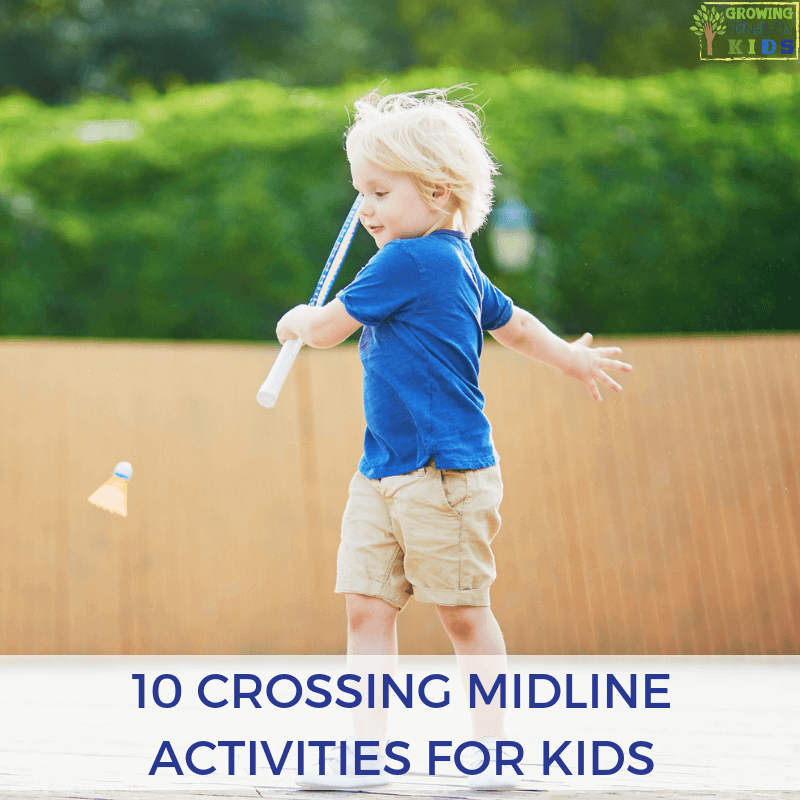 Crossing midline activities are a great way to incorporate an important skill for development, as well as having lots of fun. 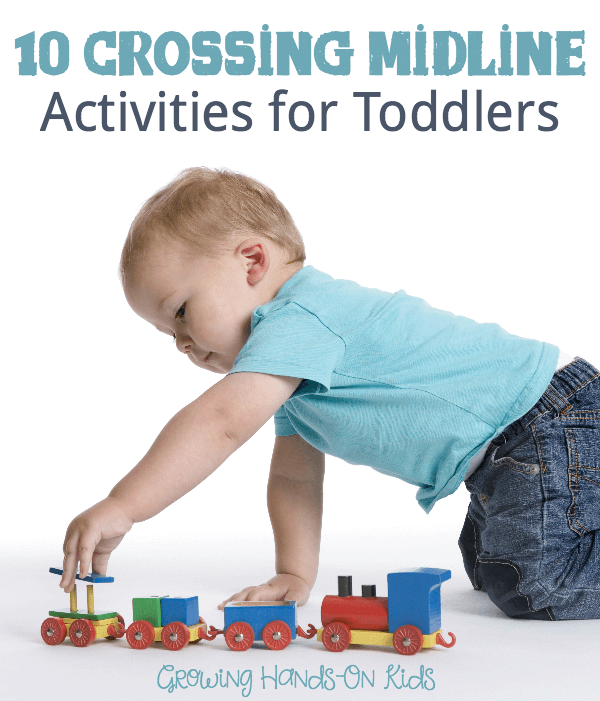 Here are some fun ways to include crossing midline activities for toddlers. Imagine a line going down the middle of your body. Whenever your arms or legs cross that line to the other side of your body, that is crossing midline. 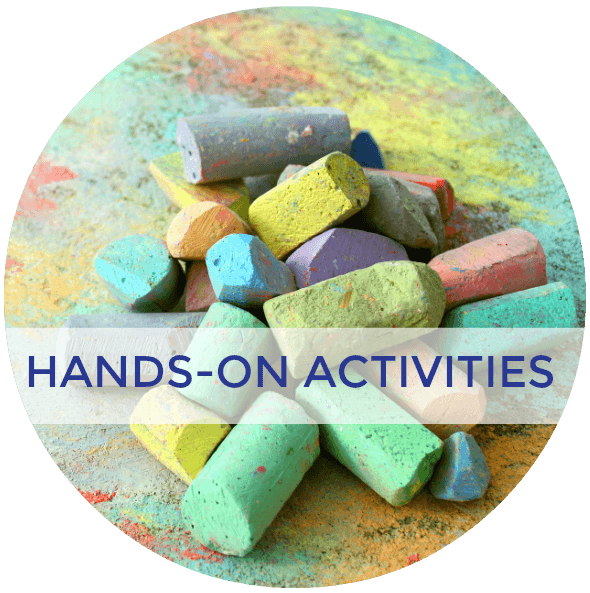 This skill is important for all kinds of skills in child development, including reading, writing, and many other gross motor skills. For toddlers, practicing this skill is also something they do when crawling. 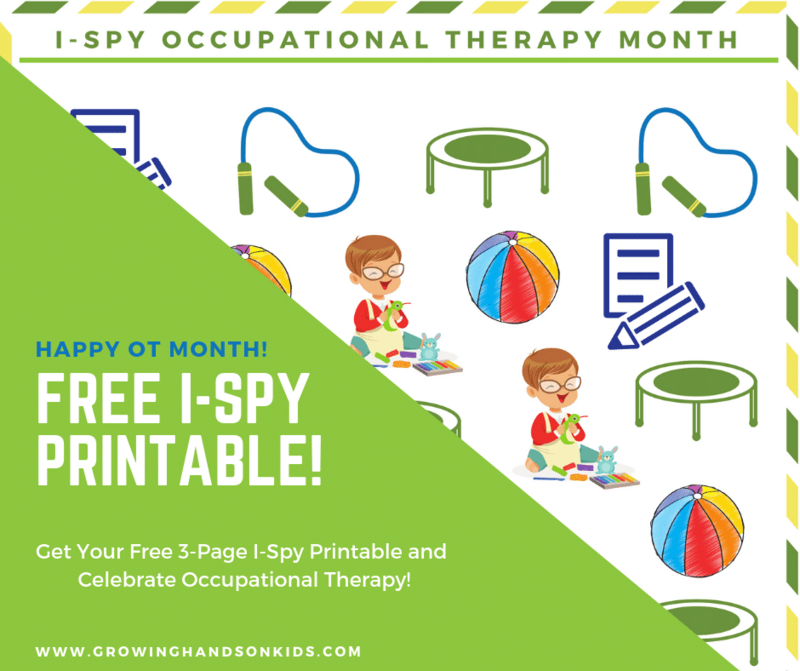 It also plays a part in many visual motor skills and activities: the ability to visually cross midline with their eyes, being able to cross over with their hands or arms without looking etc. Children develop large muscle groups first then work towards refining smaller muscle groups. 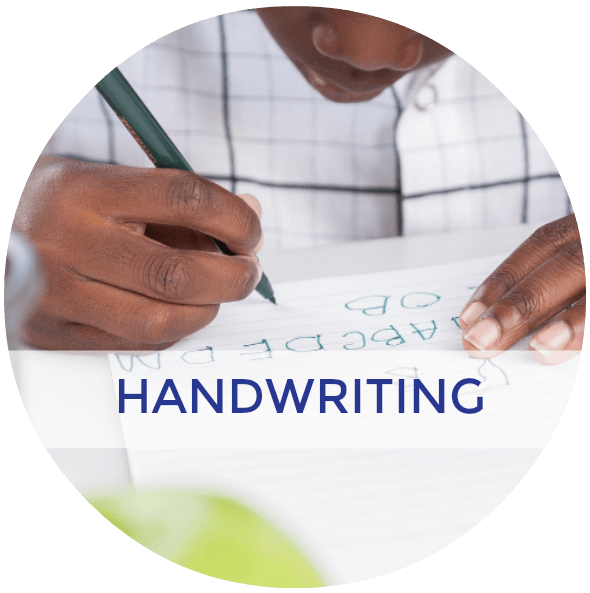 So in order for a child to be able to cross the midline in reading or writing later on in life, having a good foundation in crossing midline for gross motor movements is important. For the purposes of this post, I am considering toddler ages 1-3. However some of these you can certainly do with kids under 1. 1. 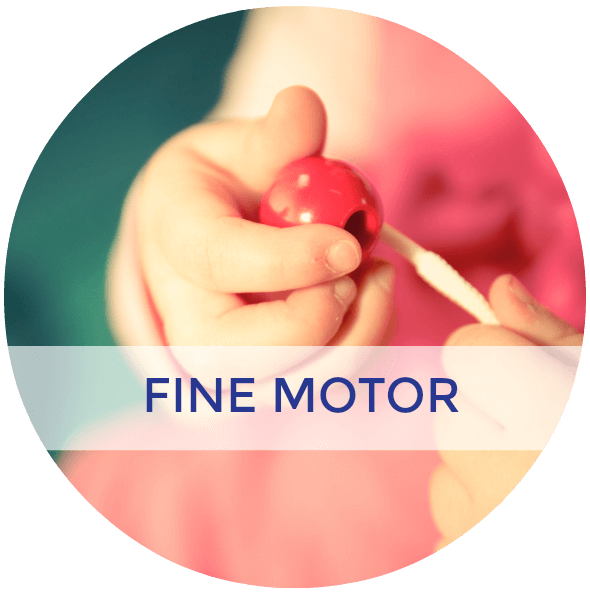 Reaching for toys while crawling or during tummy time – This not only provides excellent practice in crossing midline, it is also building core muscles, visual motor skills and more. Here is a fun crawling and tunnel play activity that you could certainly use for many ages. 2. Playing with toys that encourage crossing midline or figure 8 patterns – We recently purchased a figure 8 train set for my kids, this is a great one to encourage crossing midline visually as well as motor planning. 3. Playing with Musical Instruments – Introducing a small piano, drums, or other musical instruments are a great way to include crossing midline. Especially if you add in dancing along with the playing of music. Make sure to model crossing midline yourself and your little one will be more likely to try it too. 4. 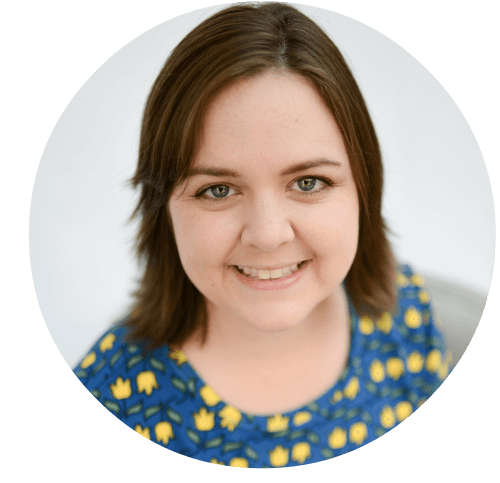 Playing with Rhythm Scarfs – My daughter loved playing with these when she was younger, she still does too. A great way to encourage lots of great gross motor skills including crossing midline. 5. Playing with Blocks – There are so many great developmental benefits for playing with blocks. 6. Letting your child wash themselves in the bath – There are so many great benefits with this including letting your child work on practical life skills, encouraging them to name their body parts as they wash, a great sensory activity, plus encouraging them to use their dominant hand to wash and crossing midline. 7. Dancing to Music – I mentioned this earlier under playing musical instruments, but it deserves it's own label too. Dancing to music is a great way to encourage all kinds of great gross motor skills. These finger play cards below are also great to add in. 8. 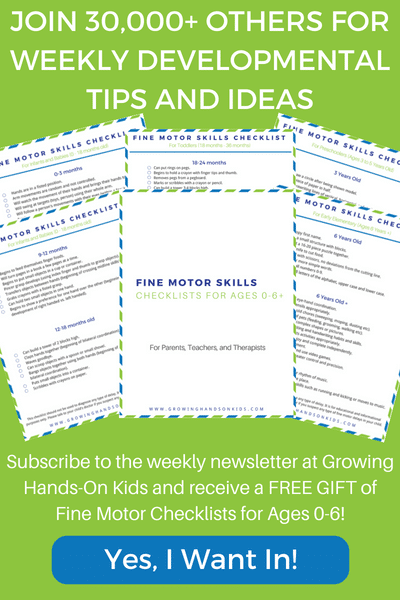 Playing with Cars or Trucks – You can make a figure 8 road on the ground to encourage your child to cross midline both visually and in a gross motor movement. 9. Playing Patty-Cake – This simple game and song is an amazing way to practice crossing midline. And most of you are probably already do this with your younger kids anyway. 10. Sweeping the Floor – Plus you get a cleanish floor in the process. 😉 My daughter absolutely loved and still loves sweeping the floor with her own child-sized broom. This is an excellent activity for crossing midline, not to mention another great practical life skill. 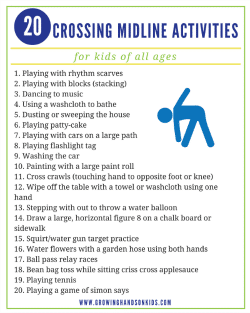 Get 20 Crossing Midline Activity Ideas in a Free Download! 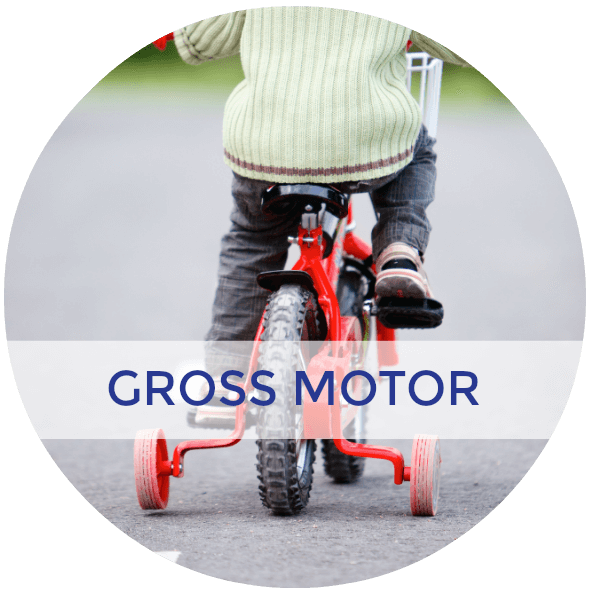 Need More Gross Motor Activity Ideas?? 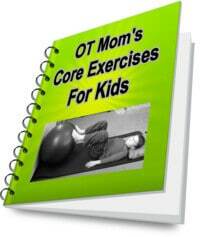 Check out the OT Mom's Core Strengthening ebook, written by a fellow pediatric Occupational Therapist mama. 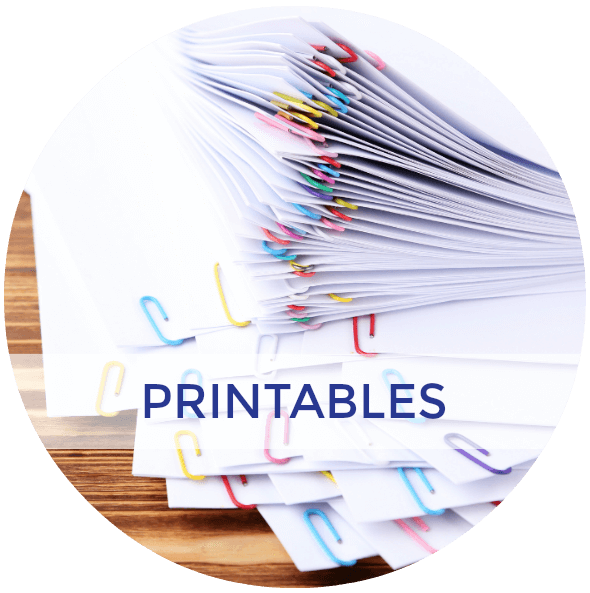 Lots of great information and activity ideas for kids of all ages.